Dishonoured cheques are a reoccurring problem and are on the rise since the onset of the financial crisis. 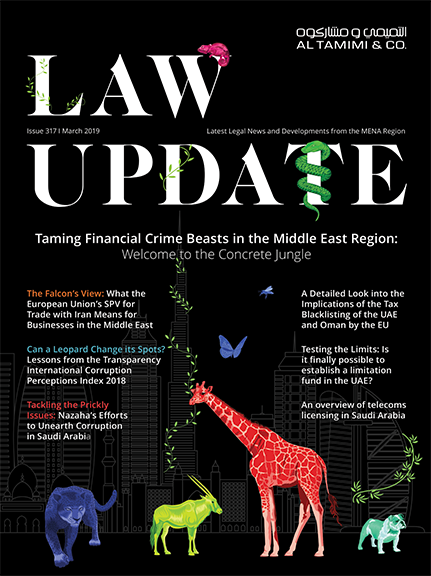 As a result, there has been a sharp increase in criminal cases and complaints filed with the UAE courts and the courts’ caseload has substantially increased. Surveys have been carried out across various strata of society to evaluate the prevalence and spread of this problem. Many have argued it is time that the laws penalising the issuance of dishonoured cheques were revised on the basis that economic hardship should be considered an exceptional circumstance necessitating a review of the penalty imposed on the issuer of a dishonoured cheque. Others, however, argue that the penalty for issuing a dishonoured cheque should be completely abolished and the dishonoured cheque offence should be excluded from the realm of criminal prosecution. This argument is on the basis that these transactions should be seen as commercial transactions that are subject to the rules of civil prosecution in view of the fact that the courts consider a cheque as commercial paper and look at the nature and elements of a cheque on this basis. From a criminal court’s perspective, the word ‘security’ on a cheque does not alter its nature as long as it satisfies the formal requirements set out in the law. Article 596 of Law No. 18 of 1993 (Commercial Transactions Law) sets out the mandatory particulars that must be stated on a cheque i.e. an unconditional order to pay a specific sum of money. A security cheque, on the other hand, normally makes payment subject to the fulfillment of a condition. There is a clear difference, then, in the meaning the criminal court attaches to cheques compared to the civil court. It is argued that the law should be amended to abolish the penalty for dishonoured cheques as some believe a criminal penalty for a dishonoured cheque is not the right solution to the problem as it does not enable the beneficiary to recover the value of the cheque. In view of these issues, this article explores the recommendations that aim to eliminate some perceived discrepancies in the law and contradictions among rulings. The courts in the UAE have established that a cheque is a commercial paper containing an order by the drawer to his bank to pay the beneficiary a specific sum of money on a specific date. A cheque functions much like cash and is a payment instrument. Issuing a cheque with insufficient funds is an offence when the drawer knowingly issues the cheque to the beneficiary (without having sufficient funds in the account) on the due date. The drawer’s bad faith is established when he knows that there are insufficient funds to cover the cheque. The Supreme Court has held in previous rulings that the offence of issuing a bounced cheque occurs when a cheque is written with knowledge that there are insufficient funds to cover it and liability cannot be avoided by claiming that the cheque is a security instrument and that the beneficiary of the cheque was aware of the fact that there were insufficient funds. It is worth noting that the issuance of a cheque (without sufficient funds) in bad faith is a punishable offence in other jurisdictions as well as the UAE law. As a result, reasons for and against abolishing the law for a bounced cheque are considered in this article. Nevertheless, the criminal penalty for issuing a cheque that is returned unpaid is an ideal way of pressurising the issuer of the cheque to immediately settle with the beneficiary. Given the nature of the criminal penalties such as restricting the cheque issuer’s freedom of movement either with confinement during investigations or withholding his passport as a guarantee in connection with the criminal proceedings involving the bounced cheque creates a big incentive for the issuer to settle with the beneficiary. This article encourages the writer of cheque to settle the matter with the beneficiary in order to avail of this provision. “(a) The Judicial Control Authorities, including Police Stations, shall refer all cheque complaints to the Committee. 1) Investigating the circumstances surrounding the bounced cheque to determine whether there was any bad faith on the part of the cheque issuer (criminal intent). 2) Consider the circumstances in which a cheque was issued. For example, when entering Construction Agreements (Muqawala), it is common practice for a contractor to issue a security cheque for 10% of the contract price in favour of the employer (owner), this is commonly known as a ‘performance bond,’ i.e. a guarantee for the contractor’s proper and efficient performance of the contract. The cheque (or, alternatively, a bank guarantee) would become payable only upon realization of that condition. In practice, however, some owners tend to exploit this right in order to avoid paying the balance owed to the contractor by knowingly cashing a security cheque for payment when payment is not due to them. Due to insufficient funds, they then resort to criminal action in order to further pressurize the contractor into waiving or negotiating their dues. The criminal court should therefore examine the merits to determine the reason for writing the cheque rather than convict the drawer simply because the cheque bounced. The criminal court should preferably refer such cases to the competent civil court for further investigation. If bad faith is established on the part of the perpetrator, the case will be returned to the criminal court in order to decide the penalty. In short, the criminal judge should investigate the reason for writing the cheque particularly if the relationship arises from a contract or agreement. Where it is established that the issuer of the cheque had acted in bad faith or defrauded the victim, the court would sentence the perpetrator. 3) In view of the fact that dishonoured cheques are considered a form of fraud, as mentioned in the preceding paragraph, it is noted that banks, in their relationships with borrowers, often require borrowers to sign blank cheques as security in the event of breach of the loan contract and failure to repay the loan according to the agreed repayment schedule. In fact, upon default by the client (borrower) on the loan, the creditor bank would present the cheque, (parts of which would be completed by the creditor bank) to the relevant authorities for the borrower to be prosecuted. He is then sentenced without investigation, taking into account the fact that the bank was aware, at the material time, that the drawer did not have sufficient funds to cover the cheque. Indeed, how can fraud be established in such case if a customer issues a cheque knowing there are insufficient funds in his account? The courts must therefore take this practice into account. To summarise, it is not recommended that criminal legislation with respect to the penalty for dishonoured cheques is repealed. Introducing amendments to the current law is favoured. Further, it is also recommended that the UAE courts, especially the criminal courts, investigate disputes relating to dishonoured cheques first in order to establish an offence before issuing a ruling.